Digitizing is a combination of artistic arrangement and computer process that takes a design, photo, drawing etc and converts it to an embroidery design. That design is then programmed into our computerized machines, to produce the desired result, an age-old process of needle and thread called embroidery. It was an art then and is still today. 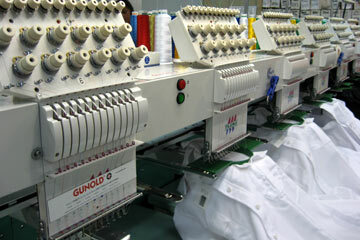 Here at Apparel Embroidery, we have two full time digitizers with many years of experience. The results of a design are determined by skill of the digitizer. Whether they are using stock designs or digitizing from scratch they provide the highest quality possible. We have the experience to execute all designs in house even the most intricate designs. We are very proud of our digitizers' experience. If you have any questions about any part of digitizing or embroidery process, please contact us; we are here to help you in any way.